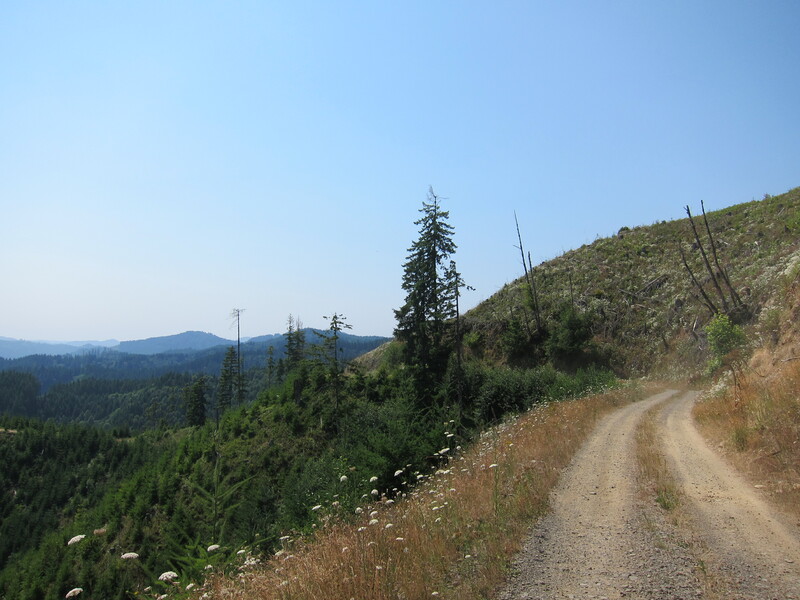 “You can go from here to the ocean on dirt roads only” was something I heard from a few riders as soon as I moved to Eugene in 2005 and started inquiring about dirt roads for day rides in the Eugene area. When I asked riders for more specific directions for this route, though, their answers were evasive at best. Until I met Riley, that is. On the area between Hwy 36 and Hwy 34 in the Oregon Coast Range Riley seems to know every gravel road, two-track, or trail that forms that maze of roads on the range. [this ride took place on Sunday, August 12, 2012 – I’m still catching up]. Doug called me last Thursday telling me his brother-in-law Neal would be in town this weekend and Riley was to set up a post card route for our guest rider. 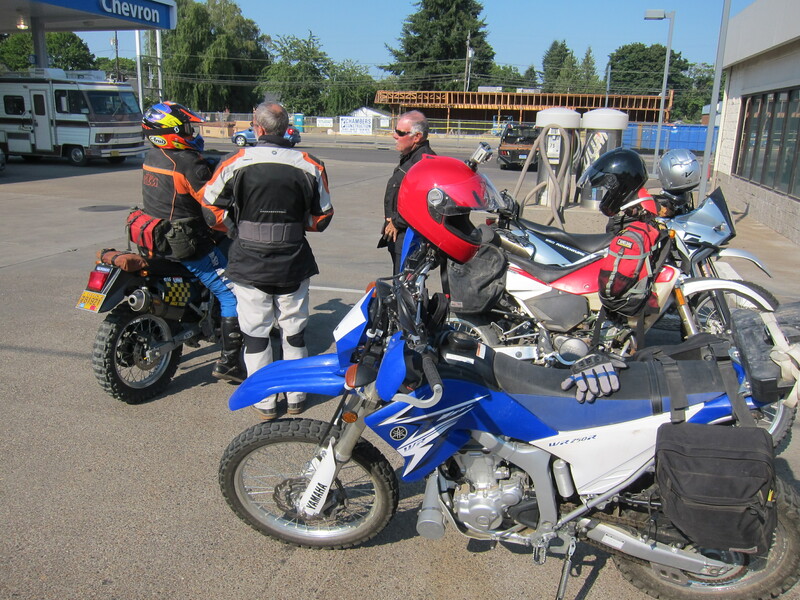 I had met Neal back in 2008 when the BMW local motorcycle dealer had organized a rally in the Ochoco Forest. Neal is a retired smoke jumper, of that first class team based in McCall, Idaho, where he still lives today. A smoke jumper, you have to respect this guy. After I met Neal in 2008 I had a chance to ride with him in the Owyhee area one time and another time at the Steens Mountain area. Neal is a great rider. They showed up early at my house because to check the Ducati. Neal was not too impressed with the Yellow Hooligan machine: “what do you want to do with this?” And then he saw my Tiger for the first time: “And what about that?” he asked without a hint of enthusiasm. 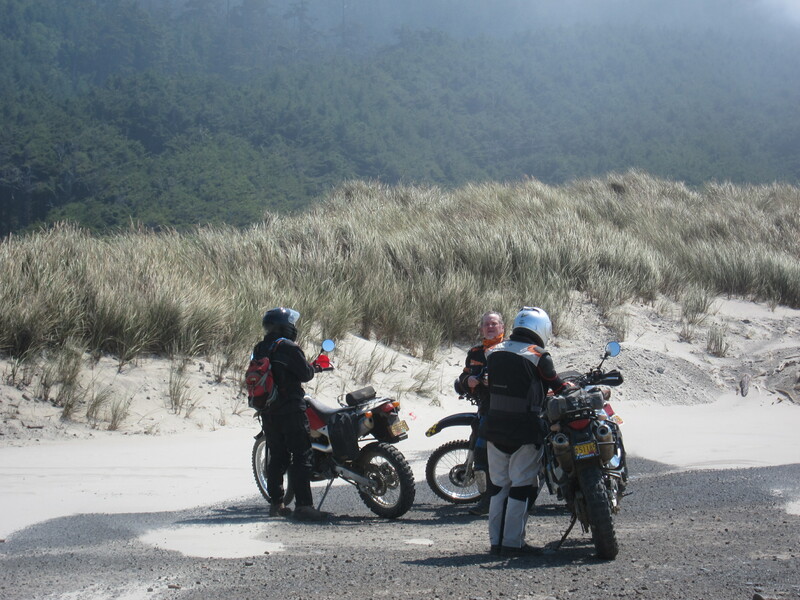 Neal rides a KLR 650. Shouldn’t that be obvious based on his questions? 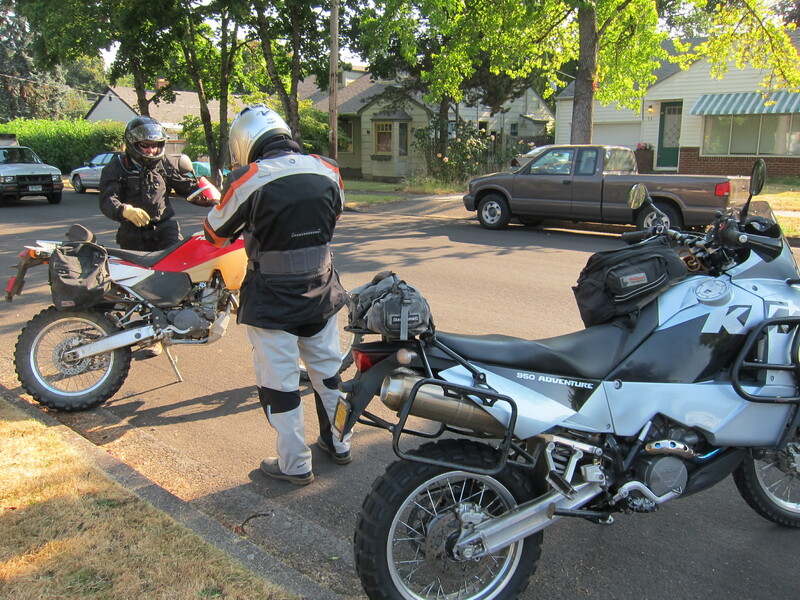 Today he was riding Doug’s Husqvarna and Doug brought the 950 Adventure for the occasion. If you read my posts regularly, you know that on the last ride with the Yamaha I was following Doug too closely and his rear tire sent a rock that hit my headlight breaking its lens. For this ride I put some clear tape on top of it, to keep it as clear from dust as possible while I look for a replacement. We met at the traditional place, at the Chevron in Junction City. Riley debriefs the team on the menu of roads for today’s ride. 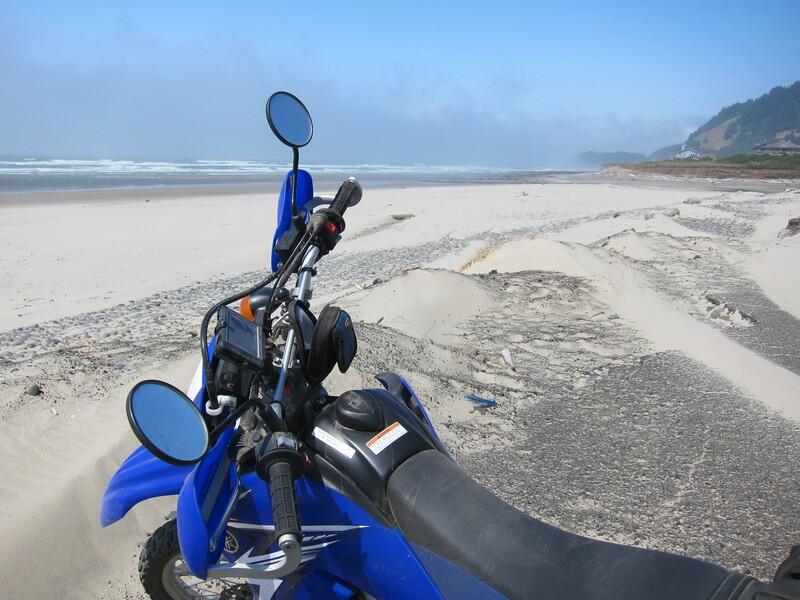 My summary of the the plan: go from here to the ocean on mostly dirt roads. It is the second time Riley will lead us to the coast on mostly dirt roads, and this time it will be on a different set of dirt roads, especially when getting closer to the coast. We left Junction City on a route that I’m starting to learn. I have to do it on my own to really memorize it. Now, if only I could remember the rest of the route. Doug, as you may know, is a map reader. When riding with Riley he has no chance to stop to check his maps. I wonder how frustrating it must be for him. Probably as much as it is for me for not having a chance to stop and take pictures every now and then. 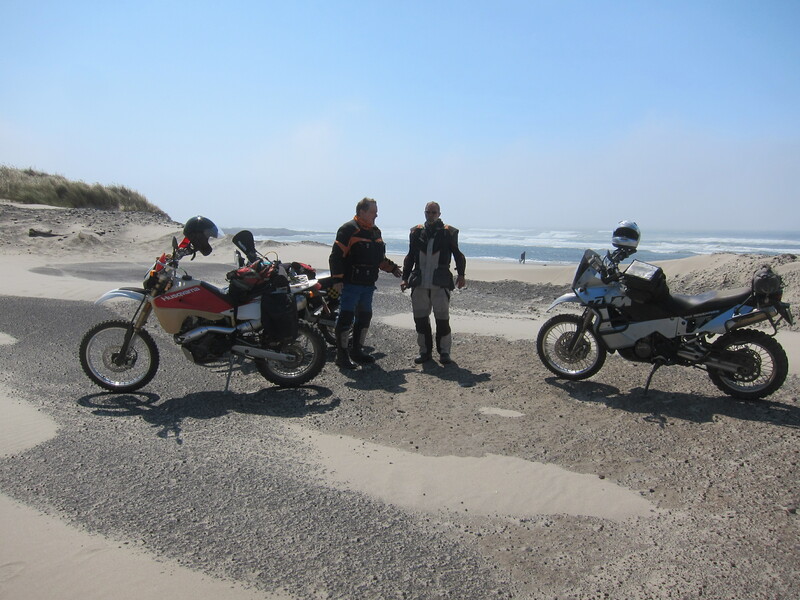 We need to take advantage of these rides and learn exactly how Riley takes us all the way to the Ocean with only a smear of paved roads… Next time I will bring my Oregon GPS and record the tracks. This time the riding order was different: Riley, then me, than Neal with Doug on the tail. Riding the large 950 Adventure meant Doug would be slower to negotiate the tight roads, so I had a chance to be riding wing to master Riley. We left Junction City going west and connecting on a dirt road I still don’t know the name. After a couple of turns we connect with Alpine Rd. where we ride west for a few miles on pavement. From there we get to what I call “Riley’s climb” or the “Return of the Jedi” road, which takes us close to Prairie Mountain. Riley commands every one to air down the tires and check to see if everyone is ready for the action. They make the usual comments about my worn out tires. And I still don’t air them down – too lazy to air them up later and what about my fear of bending a rim on some rock? Let’s go! Following Master Riley up-close I had a chance to check his riding style. At one point he mentioned that I was riding fast today. Well, I was following him… In fact, I was just trying to keep up with him. As usual, few pictures along the way when Riley makes his rare stops. But all roads are nice and every now and then we can get a view of the Coast Range. 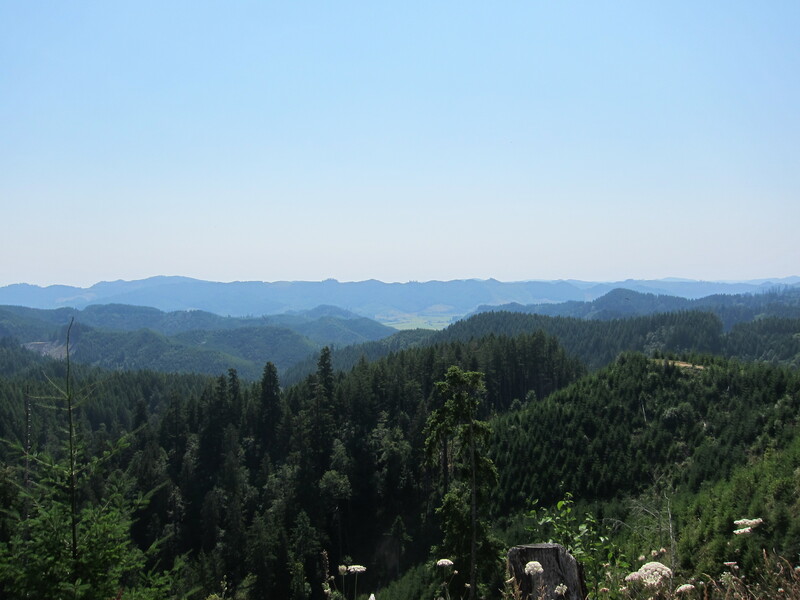 And you can see a bright green valley down in the distance on the picture below. These roads have just enough traction to make it interesting! Albeit dusty in the summer. As a matter of fact, today was a hot day and it started without the traditional fog. I was wearing only the outer layer of my Rev’it Sands riding suit. And here are a couple o videos where you can see Riley in action. Keeping up with him can be a challenging but fun task. 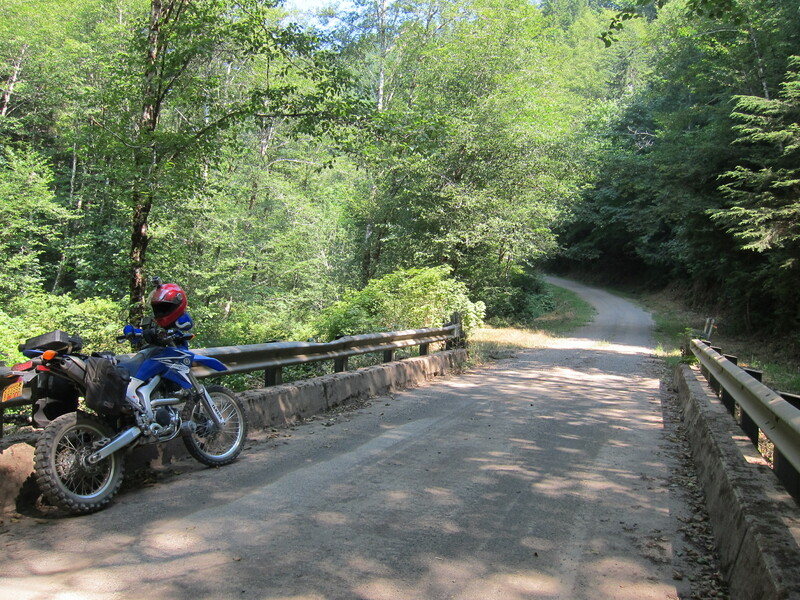 At several points we were riding 40-50 miles per hour (60-80km/h) on these narrow roads. At times, even faster than that. The little WR250R works out between 1st and 3rd gear. Mostly on second gear on these roads. And a video of a nice two-track road. Eventually we got to Ten Mile creek and Ten Mile road and that is how we finally reached Hwy 101, crossed it and we were at the beach. Where we had another break. 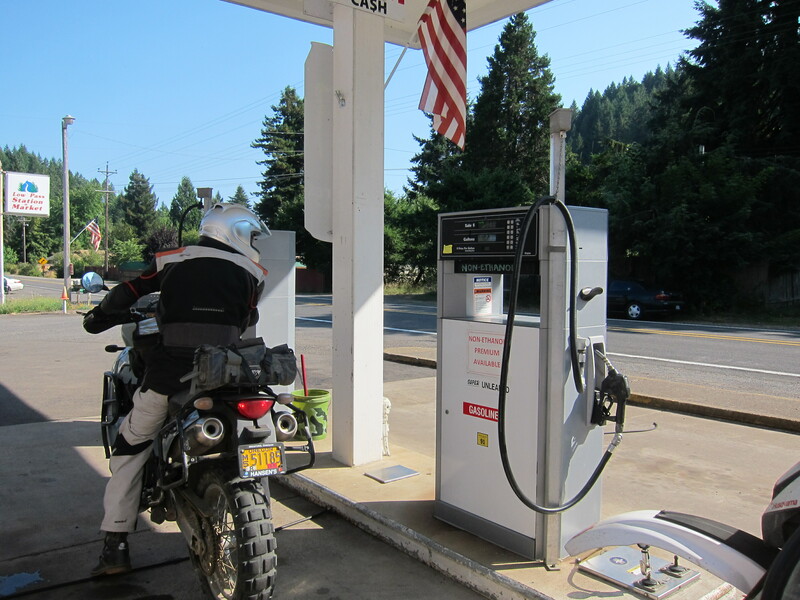 I took advantage of this stop to pour the 1 gallon from the auxiliary tank into the motorcycle’s 2.2 gallon tank. 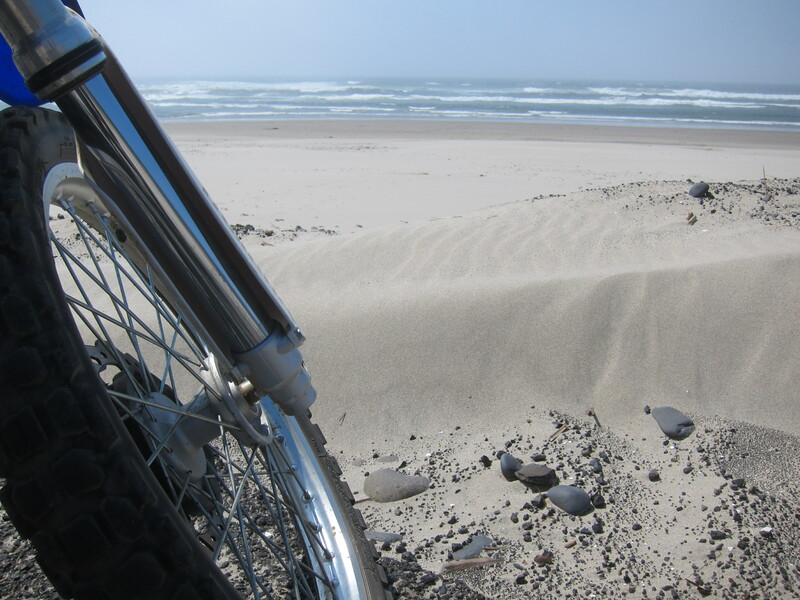 At the picture below is a scene that brings me memories of the south Atlantic, the ocean of my childhood: when the road ends and the sand takes over, and the beach starts. That mix of gravel and sand and the transition between flip flops and barefoot when walking to the beach. And more memories: the strong wind, air mixed with sand. Not as bad as the South Atlantic wind/sand blasts. The sand over there has finer grains and when it flies with the strong winds, it feels like thousands of needles hitting your skin. Here is a video that gives an idea of how strong the wind was where we were parked. Time to go again! 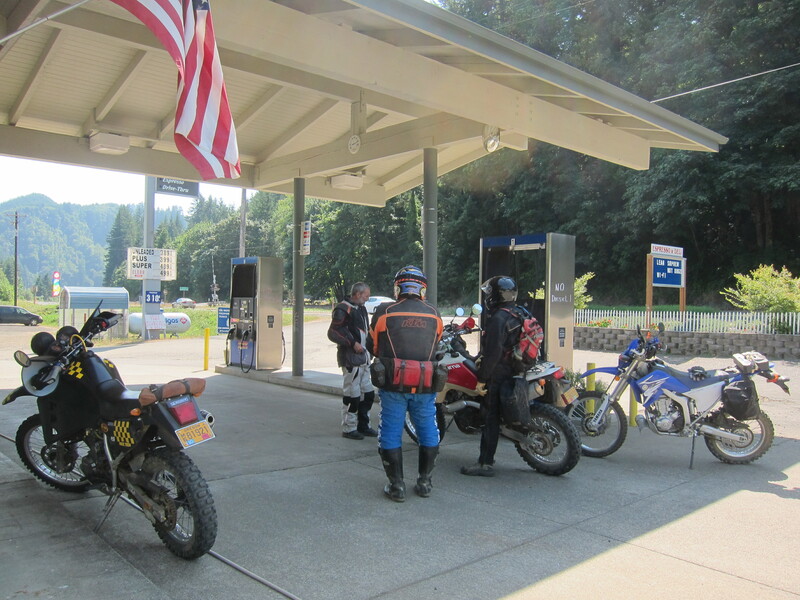 With just more than 100 miles accumulated on this ride so far we needed to get gasoline. They suggested Florence, I recommended the Non-Ethanol gas station in Mapleton. They liked the idea. But are we going to pay for that decision? Mapleton is another 15-17 miles after Florence. Once we got to Mapleton we realized the gas station was closed. I’ve been there on Sundays before and it always has been open during the summer. But it appears their schedule is not consistent. What now? Riley, who had plenty of gas, was set to go on another direction and left us. Doug, Neal and I continued on 36 towards Eugene. 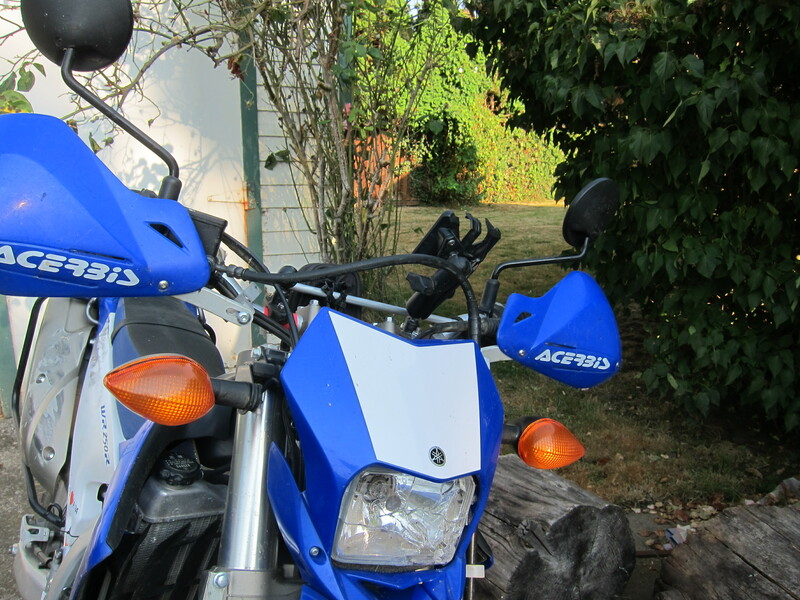 The 950 Adventure was the problem with gas, as it was on reserve. I would soon hit my reserve as well. Are we going to find another open gas station between Mapleton and Eugene (or Junction City, actually)? 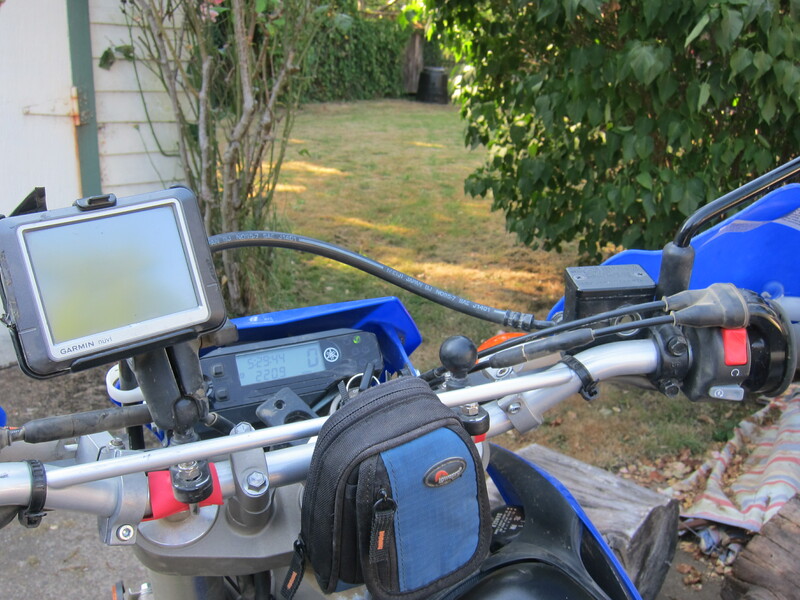 Doug was riding very conservatively, which meant I was probably doing 70 mpg in the little WR250R. Small tank but great fuel economy takes it longer to run out of fuel. We stopped in Triangle Lake and we transferred some gas from the Husqvarna large tank into my auxiliary tank and from there to the 950. But that was still not enough to make it home. I checked my GPS and there was a gas station 5.5 miles down the road, the Low Pass Station and Market. Would it be open? By this time I was getting close to my reserve. As we rolled into the Low Pass gas station, my amber light came on. And the gas station was open! And it is also non-ethanol premium! Low Pass Station and Market. Non-ethanol premium fuel. We high-fived, filled up the tanks with good gasoline, and said our good-byes as we would soon be parting ways. Another 20-something miles and I was home. 221 miles (355 km) total for the trip, which in summary is what takes me from home to the Ocean via dirt roads and then back on a more direct route. 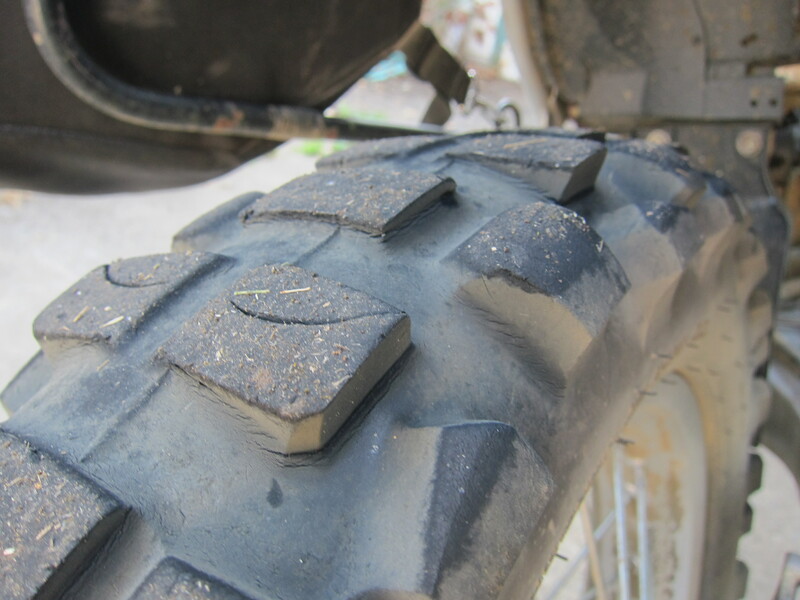 And my rear tire, almost gone. By the way, peer pressure finally worked on me, I already ordered a replacement for front and back tires. Well, that was another great ride! 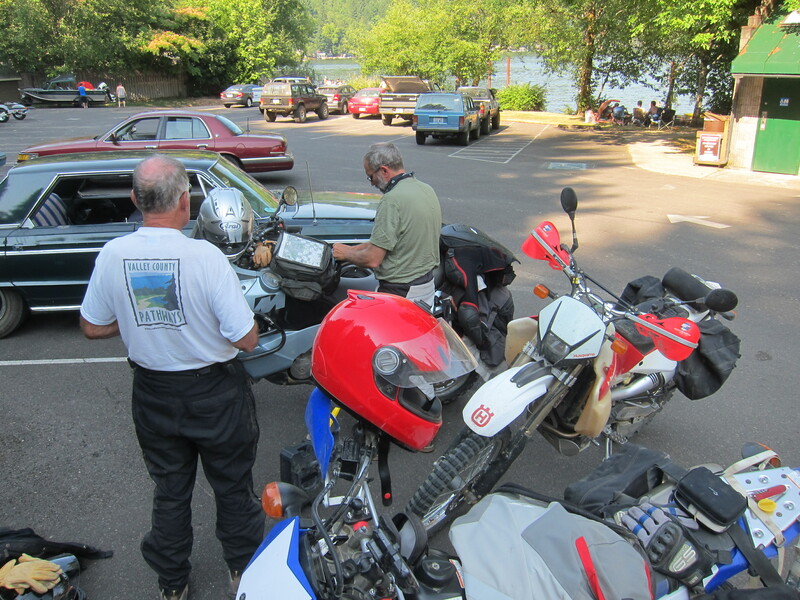 Next up: The Ducati takes me to the Wooden Boat show in Toledo, Oregon. Thanks for reading. what an adventure and also nearly running out of gas. I have never ridden a small dualsport, looks like fun. I don’t have any experience on one but it looks like fun riding into the forest on those FS Roads. It’s about time you bought new tires, what if you were alone and something happened to your tire ? 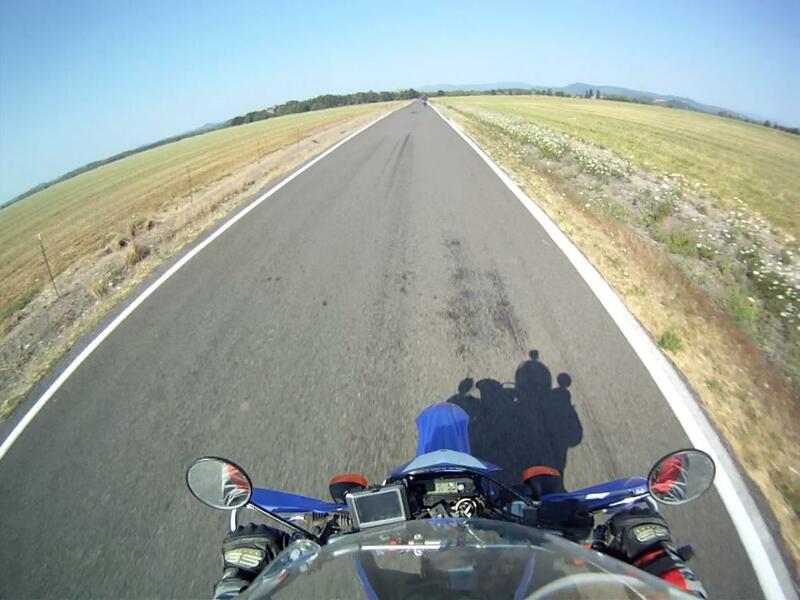 You see, the pros and cons of riding alone and with others. Bottom line, it is never perfect and there is always a compromise to be made. What a great ride. Thanks! Brilliant pics from the coast, and blue skies for a change. Unfortunately a small machine with a tiny tank come with shorter distance. But on the plus side it is so much easier to play around on the terrain you had been on. And all went well. I have to say I really like the small Yamaha. It is perfect for these day rides with the guys. And aside from chain maintenance (checking/cleaning and lubing), oil changes, and air filter cleaning, there is no other maintenance required. That is, valve checks are at 26,000 miles intervals, so I will probably not need to do it, as I put about 2,000 miles per year on this bike. Thank you Sonja, you are always kind to me with your comments. Wow – love that Tiger! 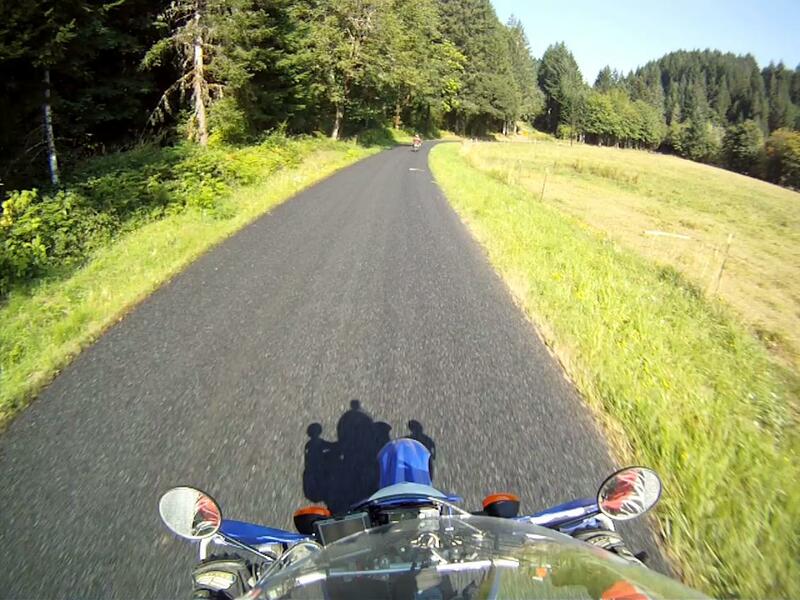 I have ex-in laws still living in Sutherlin (also used to live in Roseburg myself) so I know the area well – GREAT riding throughout the area! Nice report and great pix! Thank you. This is a great area for riding. Leaving from Eugene it doesn’t matter where I go, all cardinal points show good places for riding. I just stumbled upon your website yesterday and love all of your stories. 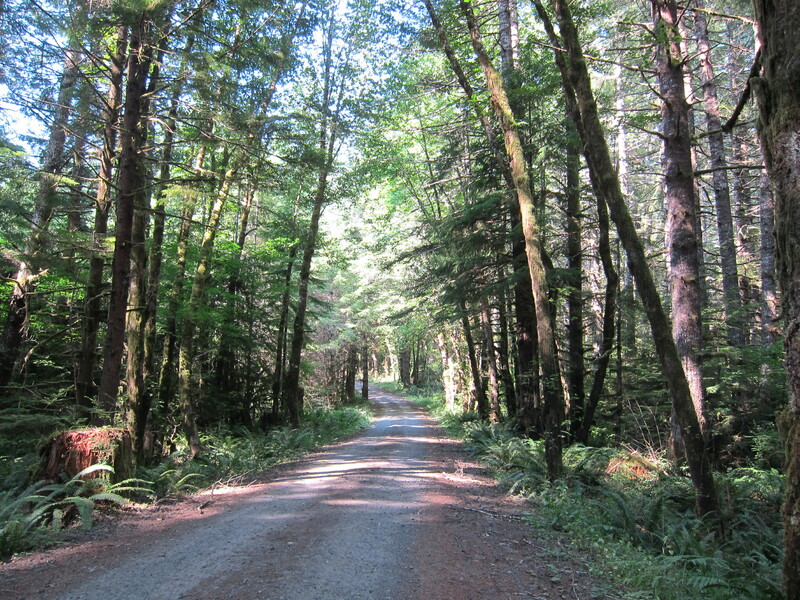 I am really interested in exploring the dirt roads between the Willamette Valley and the coast. Any suggestions as to the map resources you use to find these routes to the coast? I use the Benchmark Maps for planning all my rides in Oregon (and also the neighboring states). And the Benchmark maps are made in Oregon! 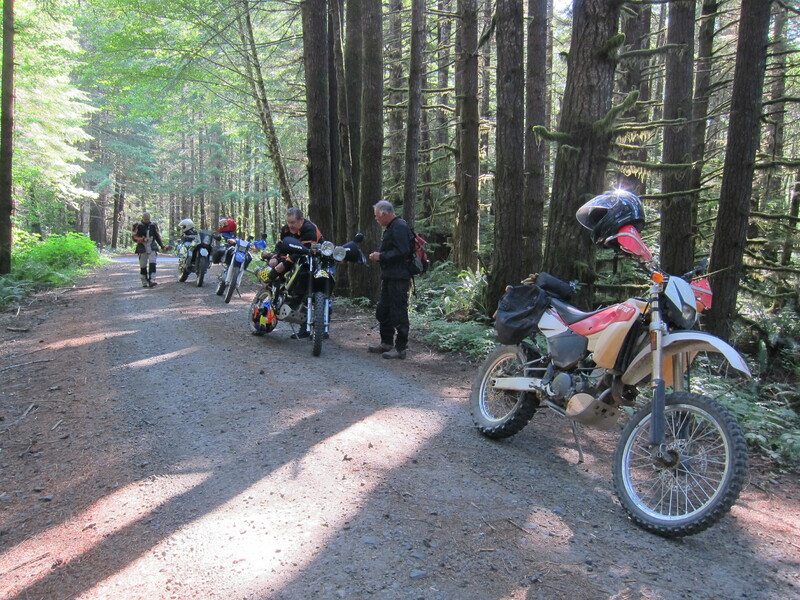 The challenge is that some roads get closed for logging operations or other reasons and sometimes we only learn that by getting to the gate or hearing from other riders in the area. The best source of information, however, are the veteran riders in the area. 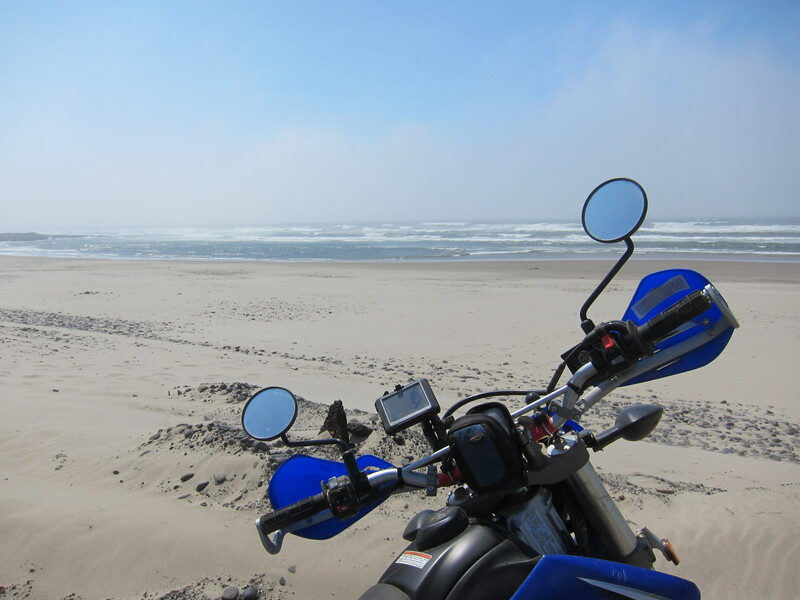 I plan to use my “Oregon 450” GPS next time I ride with them to the coast so I can record it and transfer the tracks back to paper maps. We will wave for sure! Good on you to move on your power!